You are currently browsing the category archive for the ‘Mansion of Memory’ category. 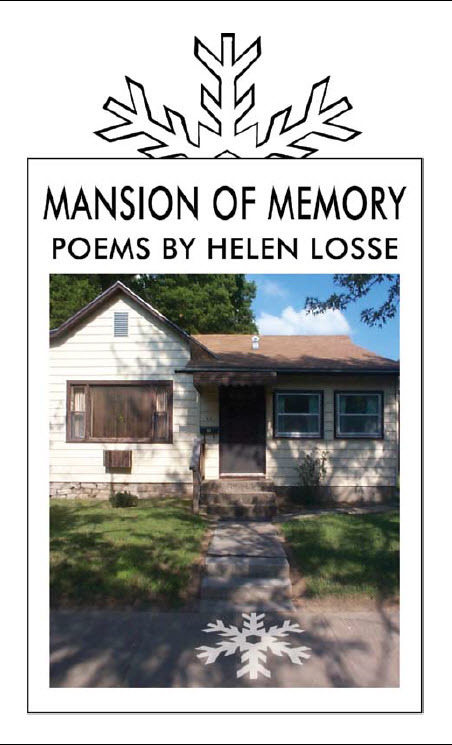 I’ll be reading from and selling copies of Mansion of Memory this Friday May 18 at 7 pm at Poetry Lincolnton. $11. All profits go to Bright Futures Joplin Tornado Fund. Please join us, if you are in the area. Bill and I went to Raleigh yesterday for the purpose of me reading at Royal Bean Coffee House to promote Mansion of Memory. The monthly reading, headed by Maureen Sherbondy and co-sponsored by Main Street Rag, put us in touch with a great group of writers. And I sold five copies of my chapbook. I still have copies, so let me know, if you want one. While we were in Raleigh, we decided to take in a few sights. First we went to the North Carolina Museum of Art. We’d been there before but not for several years and my, has the gallery grown. There are two new buildings in which the permanent collection is displayed. We understand they opened about two years ago, but they were new to us. One houses modern art and the other more historical and classical pieces, some by very famous artists. There is an entire section devoted to Rodin. Later we slipped in to Scared Heart Cathedral. Not large by cathedral standards, this church had lovely stained glass windows and three dimensional carvings for the Stations of the Cross. We also drove through Historic Oakwood and located rails and the Amtrac Station. After that, it was time to head to Royal Bean. A good but tiring day! 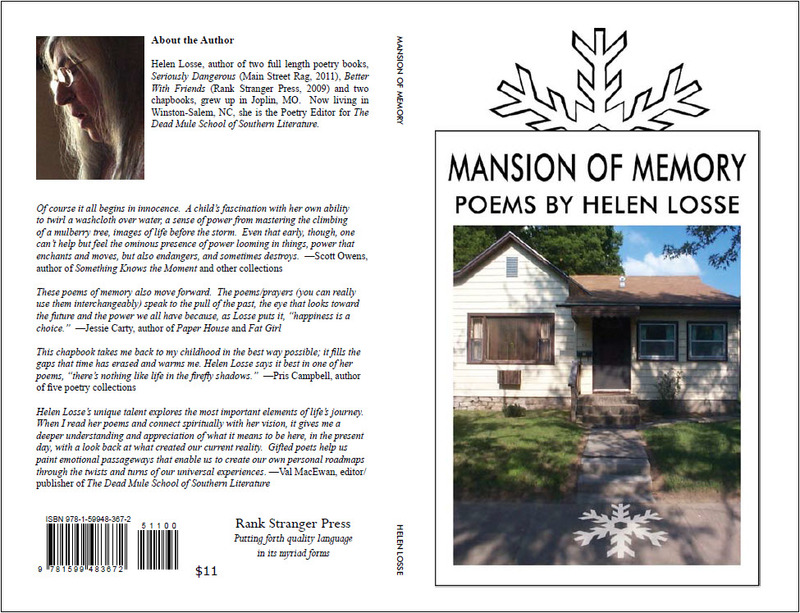 Copies of Mansion of Memory are still available. $13 including postage. Proceeds to Bright Futures Joplin Tornado Fund. Contact me for address. Thanks to everyone who has already bought a copy. I’m busy preparing for Words Awake! I’ll be on a poetry panel at 9:00 am, reading poetry at 3:15, and selling copies of Mansion of Memory all day at the Winston-Salem Writers booth. Please join us. It’s free.